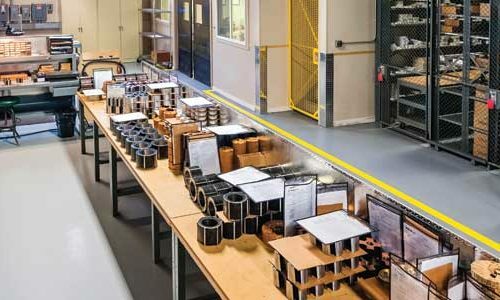 TLC offers a complete Assembly Department with the capability for the production of laminated stator and rotor stacks fully finished and ready for customer winding or assembly into the end product. Stacks can be supplied either straight or skewed. Processes include stacking, bonding, staking, riveting, welding, fluidizing (epoxy insulation), grinding and honing. TLC can provide stacks of any diameter or height as prototypes, short run lots or large quantity production. 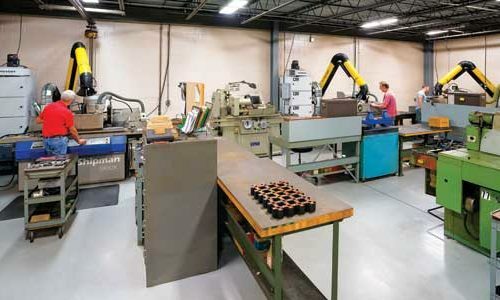 The Toolroom supports this department by designing and building all stacking fixtures and special tooling required to meet customer specifications including unique skew angles. 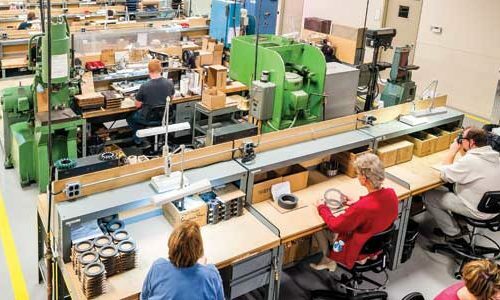 Further complementing the assembly facility and contributing to supplying a finished product, the Grinding Department has been equipped with machines capable of ID and OD grinding, jig grinding and honing. ID and OD tolerances can be guaranteed to +/- .0001”, and OD to ID concentricity can be held to .0001” even on delicate, “flexible” stacks with thin wall sections. Concentricity and roundness can be verified on state-of-the-art inspection equipment with accuracy to 30 millionth of an inch. Grinding wheels, coolants and procedures have been optimized to produce finished stacks with a minimum of grinding smear in order to ensure the best magnetic properties of the assembly.